Golf is a great sport because players can enjoy it throughout the entirety of their lives. 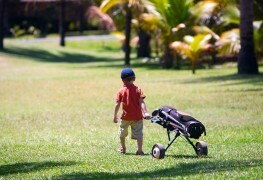 Golf also allows you and your kids to spend time together outdoors while getting some exercise. If you want to get your kid excited about golf, here are three simple things you can do to spark their interest in the game. One of the most effective ways to get children interested in golf and excited about the game is to take them to the course with you. But, rather than giving them serious lessons and feedback, just have fun at first. Let your kids ride in the golf cart, and give them a chance to putt the ball or help you keep track of your score. If they're old and skilled enough to hit, shower them with praise, despite the results of their swing. 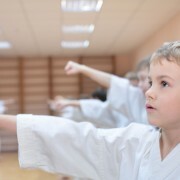 This positive reinforcement will leave them with positive associations. At the end of the day or at an off hour of the day, you could also try hitting golf balls into the water on purpose. Kids often enjoy just hitting golf balls as hard as they can and watching the splash. Plus, they'll probably want to come back and do it again. There's nothing more beloved to kids than items that are their own size and just for them. If you get your child his or her own clubs, you'll get them interested in what the clubs are used for and encourage them to use the clubs on the course. There are clubs available for young players of all ages — even as young as 4 or 5. 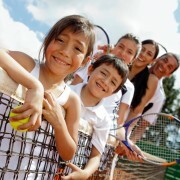 A budget-friendly way to buy a set of clubs for kids is to look for a set of used clubs online. Or, if you take your child out to the course with you, consider renting him or her a set to see how he or she takes to the game. It's always inspiring to see professionals play their sports, since the skill level is so impressive. So, take your kids to a professional golf tournament and expose them to the best of the best. You can make the outing a fun day, with lots of good golf, delicious food, and even souvenirs or mementos. Plus, many pro golf tournaments offer kids days or fun kids events, which incorporate activities suited for kids that will get them more excited about the game. 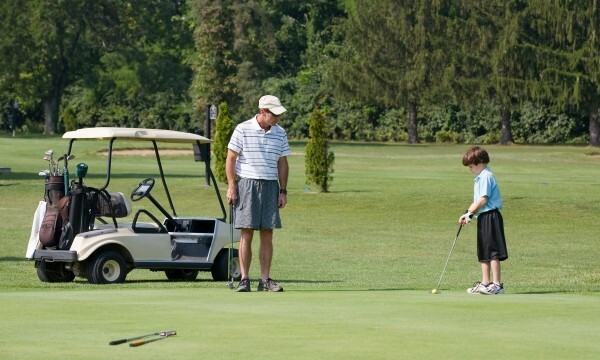 If you want to get your kid excited about golf give these three tips a try. And remember, even if they don't take to the game, at least you and your kid will get to spend some quality time together on the course.